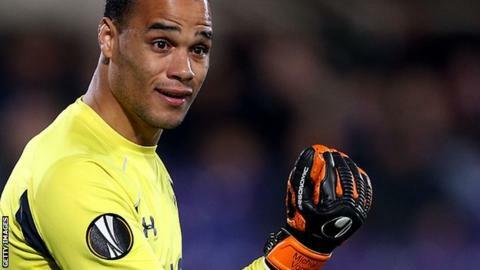 Tottenham keeper Michel Vorm and midfielder Marco van Ginkel, on loan from Chelsea to PSV Eindhoven, have been added to the Netherlands squad for Tuesday's friendly against England. Vorm, who has made one Premier League appearance this season, is in for Ajax's Jasper Cillessen (broken nose). Van Ginkel last played for the Dutch in August 2013 and is a straight swap for injured Ajax captain Davy Klaassen. Wesley Sneijder pulled out of the squad on Saturday with a hamstring injury. The Galatasaray midfielder captained the Dutch in their 3-2 defeat by France on Friday but picked up the injury in the first half. Tuesday's game against England, who beat Germany 3-2 in Berlin on Saturday, kicks-off at 20:00 BST at Wembley. Read more on Wayne Rooney: Could Kane & Alli squeeze England captain out?